The lineup is yet to be announced for Coachella 2019 but Kanye West was among the rumored names on the list. It turns out that he won't be performing at the popular festival after negotiations reportedly broke down regarding his stage design, though. As we all know, Kanye loves to put on a show when he's performing. He's not one to just stand around on a regular stage and perform his hits. Sure, he'll run through a medley of his biggest tracks but he's going to do so on an innovative set-up. 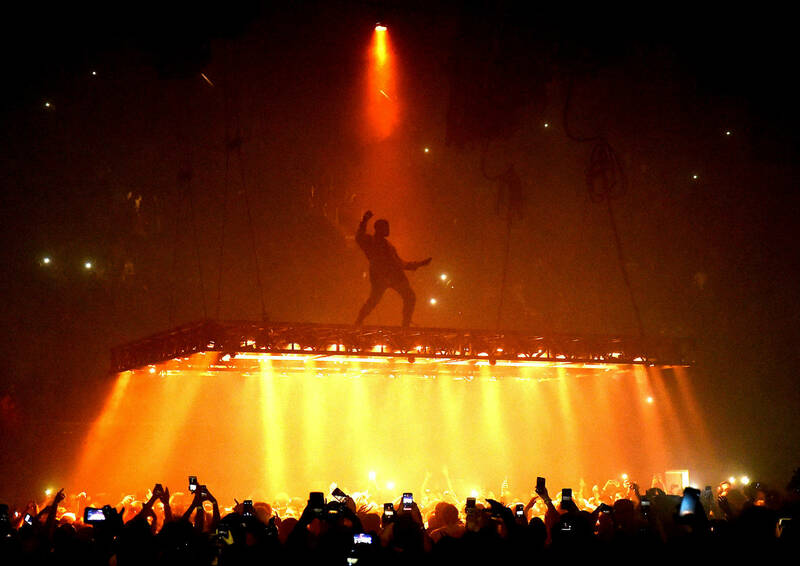 The Saint Pablo tour featured a floating stage, prompting many artists to borrow the design for their own concerts. It's unclear what Ye wanted to pull off at the April festival but Coachella reportedly wouldn't budge on any stage alterations, which means that Kanye will not be performing. According to TMZ, conversations were had about what the recording artist had in mind. Goldenvoice, the organization that puts on Coachella, apparently were unwilling to make a special exception for Kanye. He would be performing on a traditional 60x40 stage or he wouldn't be rapping at all. The publication writes that Yeezy chose the latter, amicably passing on the "archaic" stage offer. Other artists that have been rumored to headline the festival are Rihanna, Childish Gambino, Justin Timberlake, and others. Nothing has been confirmed yet as news should come soon.